In honour of the Lunar New Year, Peng Su is visiting London for a celebration of the unique traditional art form of Chinese brush painting. All levels will be welcome as you’re lead through this meditative and expressive process through demonstrations and individual support matching your level and interests. The day ends with traditional Chinese tea and the painting of a celebratory paper scroll to take away. In order to welcome newcomers or artists in other mediums, Peng will briefly cover the importance of the bamboo brushes, rice paper, composition, the xieyi freestyle approach to painting, and how dedicated artists would typically study in China. You’ll begin with practice of the core brush strokes, putting these together to paint traditional images of bamboo. 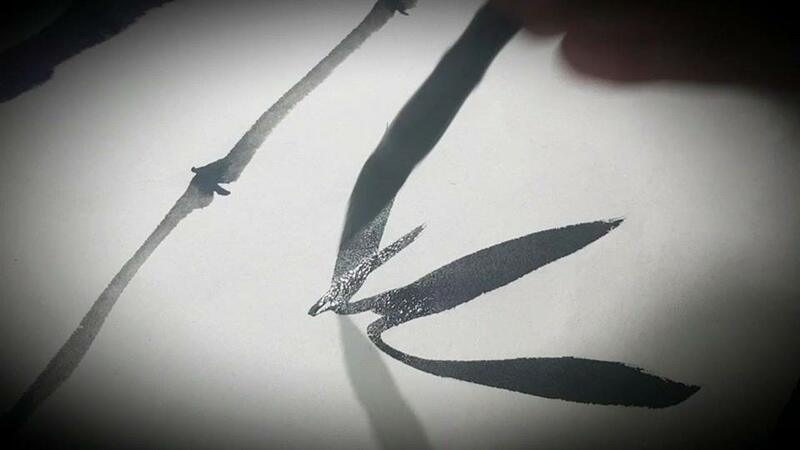 Experienced ink brush painters, or those wishing to explore in more depth, will be guided through additional details to accompany the bamboo, such as young bamboo shoots, insects, or birds. Following a break for lunch, you’ll return in the afternoon to experiment with the more elaborate and colourful techniques involved in painting beautiful winter plum blossom. This beautiful flower blooms in the cold of winter and is well-loved in China as a symbol of strength in the face of adversity. Peng will be on hand for individual feedback and demonstrations if you wish to add extra insect or bird details (in which the artist specialises). Some may wish to experiment with adding snow to their delicate branches. You have the option of finishing pieces with a Chinese translation of your name or stamping it with a red yinzhang. The day will end with an extra activity to celebrate the new year. Students can enjoy traditional Chinese tea and have Peng translate their wishes for the next year. Students can copy this calligraphy (and maybe some painting!) on to paper scrolls to take away and hang for the festival. All materials, tea, biscuits, and Chinese tea included. There are a variety of restaurants nearby for lunch, or you’re welcome to bring your own and join Peng for further quizzing and demonstrations. You are welcome to bring your own materials if you prefer. If you’re interested in alternatives such as silk brocade scrolls or painting unmounted for later scroll mounting, please get in touch. This is a small class workshop.